To keep you satisfied and on track between meals you need to snack, some of us snack more than others, just keep it clean, raw and organic when you can! 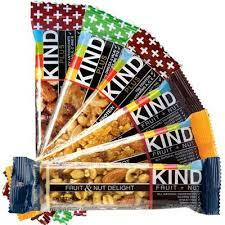 I love these bars and they are full of natural ingredients, so delicious too! There are flavors like Peanut Butter, Dark Chocolate, Salted Caramel and more. I always have one in my purse just in case, they are very filling. Don’t forget all the fruits! 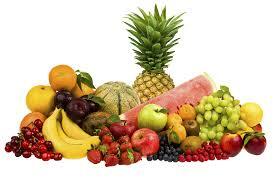 If you have a sweet tooth Pineapple is very good to have on hand as well as grapes, and watermelon when in season. Take oranges, apples, bananas, peaches, nectarines, etc to work or while on the go to meet your cravings. 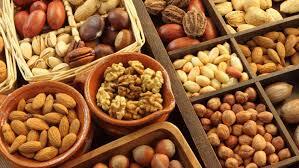 Nuts are for those who love the crunch in their diet and they are full of vitamins and protein. If you miss eating chips and like the salty things try popping your own popcorn. Those bags of grease aren’t good for you at all and if you are like me I have not used my microwave in years, don’t even want to go on about what those do to your food. Last but not least, try to squeeze in a few more raw veggies throughout the day. Carrots, celery, sliced pepper, cauliflower, mushrooms, radishes, etc are great choices. How about eating an entire avocado occasionally, they are very good for you in a lot of ways, we’ll talk about that at a later date.